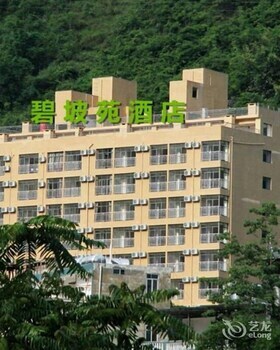 With a stay at Shanshui Trends Hotel Bama Bipoyuan in Hechi, you'll be 17.8 mi (28.7 km) from Bama Martyr's Park and 18.7 mi (30.2 km) from Changshou Museum. Featured amenities include complimentary newspapers in the lobby, luggage storage, and an elevator (lift). Guests may use a shuttle from the airport to the hotel for a surcharge, and free self parking is available onsite. With a stay at Home Inn in Shenzhen (Buji), you'll be within a 10-minute drive of Shenzhen Stadium and Shenzhen People's Park. Featured amenities include luggage storage and an elevator (lift). With a stay at Beijing Guoji Apartment Hotel in Beijing (Chaoyang), you'll be within a 15-minute drive of CCTV Headquarters and Hongqiao Market. With a stay at JM International Hotel in Beijing (Haidian), you'll be convenient to Zhongguancun Electronics City and Tsinghua University. Self parking (subject to charges) is available onsite.